Fiberglass Pool Installation is owned and operated by Multibobcat Services Ltd. We can help you to enjoy summer with a backyard oasis that cools, invigorates and makes you the envy of the neighbourhood. Here at Multibobcat Services LTD we pride ourselves on clearblue pool installation that takes as little as three to four days from groundbreaking to installed pool. Our fiberglass pool installation process is stress free. We’re proud of the fact we can bring our unique conveyor system to Burlington, Aurora, Toronto or Newmarket and get into those tight spots between homes with little fuss or bother. Moving topsoil without heavy equipment means no damage to lawns and walkways in tight spaces. We have the state-of-the-art equipment and staff and will travel to Vaughan, Orillia, Oakville or Barrie to make your visions come to life. 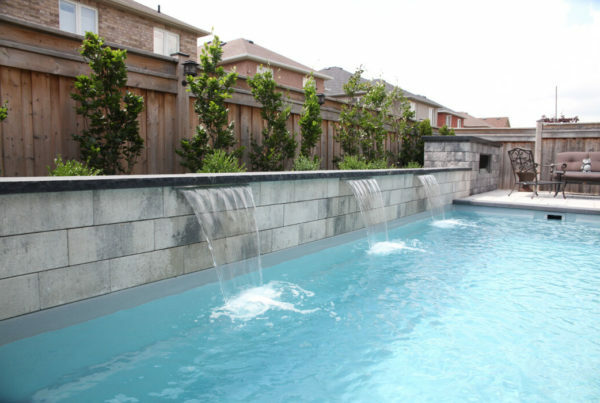 We’ve been in the business of building pools for our valued GTA clients for years. Customer satisfaction is always our first priority and tight access pool installation is just one of our specialties. Doesn’t your family deserve a little bit of luxury? 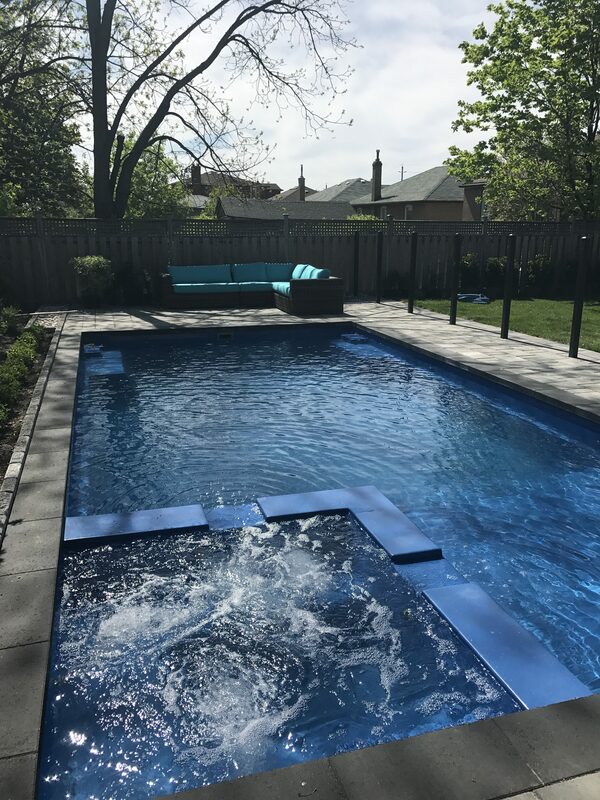 Leisure Pools Ontario and the comfort and relaxation they provide, has never been more affordable or within reach for homeowners across the Greater Toronto Area. Our dynamic and innovative conveyor system allows for quick, easy, and hassle-free installation. Along with our appreciation for aesthetics, our unique approach to design and installation is unparalleled. As experienced dealers and installation experts, we are proud to lead the Toronto Leisure Pools installation. We strive not to only to meet but surpass expectations while creating beautiful, intimate oases in backyards across the GTA. We have everything you need to start enjoying a new breathtaking backyard environment. There’s really no better way to bring friends and family together than with a backyard pool. 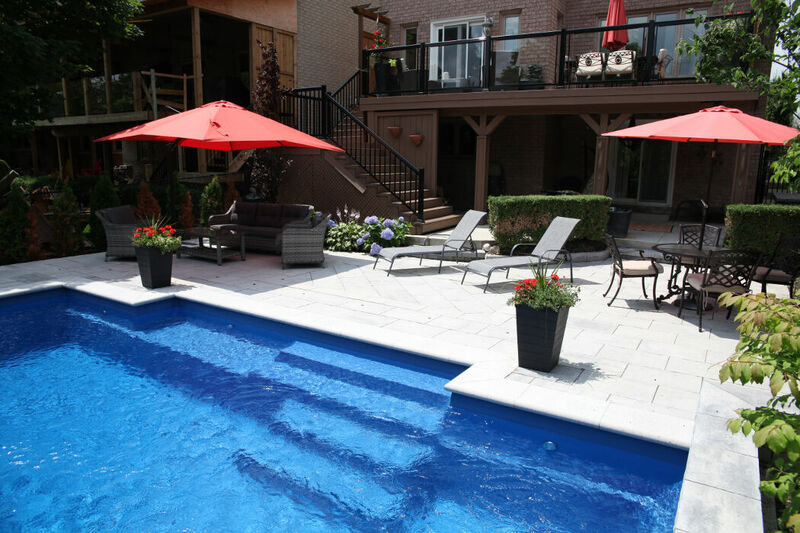 Our Caledon, Markham and Richmond Hill fiberglass pool installation services are top-notch and industry leading. We have a tradition of outstanding customer care and pride in craftsmanship that is unparalleled. What’s more, we specialize in tight access pool installation for the modern subdivision dweller. Our industry-leading conveyor belt system brings the dirt from excavation from the back to the front yard in a quick easy process. Multibobcat Services LTD is all about designing, building and servicing a backyard oasis for friends and family. We’ll create the place where lasting memories are made with fiberglass pool installation services that beat the competition hands down. There’s quality and craftsmanship in everything we do. We look at each and every fiberglass pool we install as though it were going into our own backyard. We also understand that your fiberglass swimming pool is only as good as the materials and craftsmanship that go into the whole process. That’s why we use only the best materials and techniques resulting in a durable long-lasting pool shell that will last for years. The fiberglass material that we use promises years of trouble free enjoyment for friends and family. Our customer service department is always at the ready to answer questions and amplify the enjoyment you get from the free salt systems for the pools we offer. Why get in touch with us today? Our clearblue pool installation services are waiting to help you get the most from the summer months.